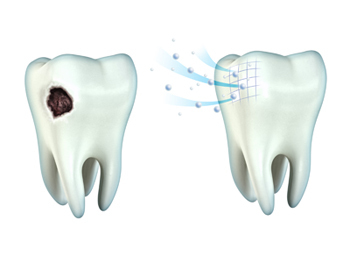 When a tooth gets a cavity, the decay must be removed or it will progress to the center of the tooth where the infection can spread to other parts of the body. After it is removed, a filling material is used to replace the missing tooth structure. The most common filling material is composite which is also called a 'white filling'.